Ayesha Harruna Attah is the author of three novels: Harmattan Rain (Per Ankh Publishers), nominated for the 2010 Commonwealth Writers’ Prize; Saturday's Shadows (World Editions), shortlisted for the Kwani? Manuscript Project in 2013; and The Hundred Wells of Salaga (Cassava Republic Press, UK; Other Press, US). Ayesha was educated at Mount Holyoke College, Columbia University, and NYU. A 2015 Africa Centre Artists in Residency Award Laureate and Sacatar Fellow, she is the recipient of the 2016 Miles Morland Foundation Scholarship for non-fiction. She currently lives in Senegal and loves cooking, green tea ice cream, and staring at the ocean. Aminah lives an idyllic life until she is brutally separated from her home and forced on a journey that turns her from a daydreamer into a resilient woman. Wurche, the willful daughter of a chief, is desperate to play an important role in her father’s court. These two women’s lives converge as infighting among Wurche’s people threatens the region, during the height of the slave trade at the end of the 19th century. 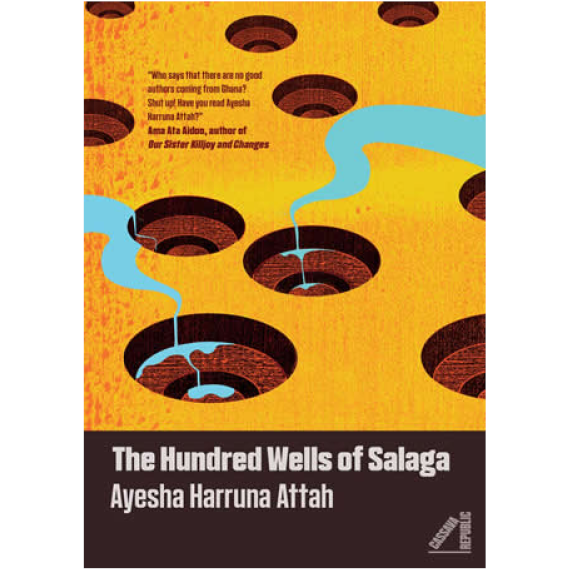 Set in pre-colonial Ghana, The Hundred Wells of Salaga is a story of courage, forgiveness, love and freedom. Through the experiences of Aminah and Wurche, it offers a remarkable view of slavery and how the scramble for Africa affected the lives of everyday people.